Soundfreaq’s Sound Step Lightning 2 is one of the most popular products ever offered on Deadspin, and it’s back for a limited time. This new and improved rechargeable model normally runs for $150, but today only, you can pick one up for just $59 - a full 60% off. 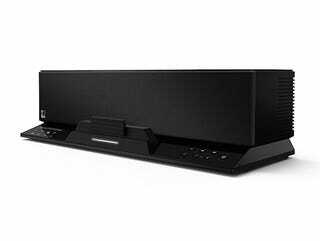 The Sound Step strikes the perfect balance of physical footprint and audio quality - it’s only about a foot long, but packs a full 2.1 speaker configuration, including a dedicated sub-woofer and their proprietary UQ3™ spatial sound enhancement technology. You can wirelessly connect any bluetooth enabled device, use the built in Lightning dock or line-in jack, or listen to FM radio via the internal tuner, which can be controlled through Soundfreaq’s dedicated app. Best of all, you can get up to 8 hours of portable playtime with the built-in rechargeable battery. The Sound Step Lightning 2 runs for $150, but for a limited time you can grab one for 60% off - just $59 + free shipping. Orders will arrive 1-2 weeks after purchase; unfortunately this item can’t ship outside of the US. Interested? Head to the link below to grab yours.